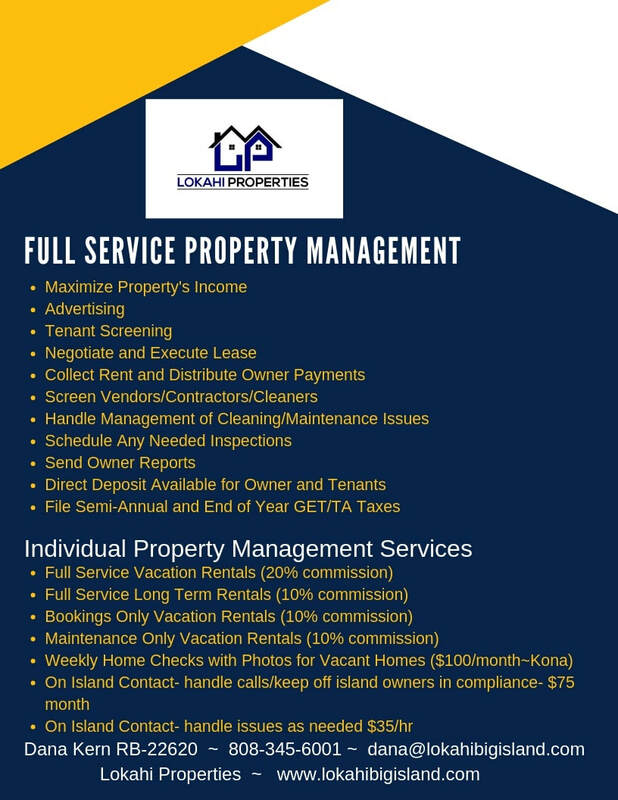 Lokahi Property Management - BUY. SELL. RENT. VACATION. We started our first vacation rental in 2007. In 2012, we added properties to our collection, and I became a licensed real estate agent. I am currently a licensed broker with Lokahi Properties. We are here to serve you with aloha. ​We work for you. Our goal is to help you fulfill your goal. It is that simple. Dana has been practicing real estate since 2012 and has been managing properties in Kona since 2007. She specializes in vacation and long term rentals in Kona and surrounding areas. Joe has been studying the Big Island real estate market since 2007. He has bought and sold several properties and is an expert when it comes to buying and selling. He looks forward to sharing his knowledge with others. Gabriele is a real estate agent who specializes in property management. He is committed to helping both home owners and renters and prides himself on taking excellent care of the properties he manages. WE'RE HERE FOR YOU. PERIOD.